BDEX is a data as a service company! Come join our team to build an industry leading engine for B2B data buying of consumer-based data in an open marketplace. You have an opportunity to work with highly experienced and dedicated software developers in a team atmosphere. Work with cutting edge technology in the Big Data industry – Hadoop, NoSQL, Columnar, OLAP, Graph. Learn to process massive amounts of data through the system to enable real time data buying, subscription services, and data downloads. Manage an ecommerce backend for selling the data. Other languages: Python, Ruby, Bash, C/C++, Excel VBA, etc. **position requires United States citizenship; cannot support visa applications at this time. 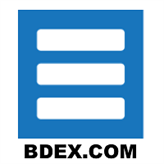 Want to get notified about new jobs at BDEX?